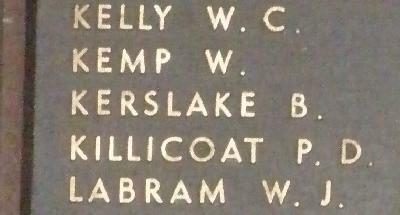 War Grave Register notes: KERSLAKE, Tpr. Basil, 653. 3rd Australian Light Horse. 5th Aug., 1916. Age 21. Son of Selina Penelope Kerslake, of 14, Law St., Launceston, Tasmania.